A lot of math on breakwaters at artificialreefs.org. is to divide them into various categories (sea states), and use short-term wave statistics to depict each sea state and long-term wave statistics, usually in the form of a wave scatter diagram and rosette, to delineate the rate at which a sea state occurs. In a similar way, there are two levels in the description of wave directionality, i.e., wave directional spectrum or wave spreading for short-term, and wave rosette for long-term, respectively. See Section 3 of ABS GUIDANCE NOTES ON SPECTRAL-BASED FATIGUE ANALYSIS FOR FLOATING OFFSHORE STRUCTURES . 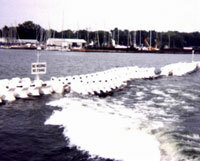 2005 for further discussion of Wave measurement. "There really is no such thing as a rogue wave. 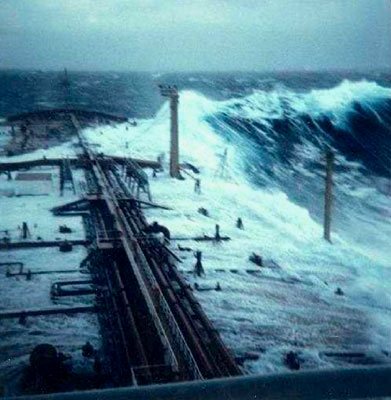 These larger than normal seas are the result of two wave trains coinciding at just the right moment for their energy to combine. When this happens the higher-than-normal crest is exposed to more wind force and absorbs additional energy. 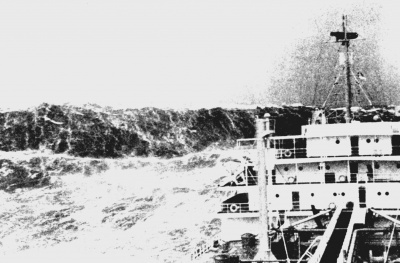 And if the wave happens to be unstable and breaks - because the rotating particles within the wave can no longer make it over the top - there will be a large mass of water falling downhill." From "Surviving the Storm" by Steve & Linda Dashew, page 241. This page was last edited on 6 November 2018, at 23:35.